09.00 a.m. – 05.00 p.m.
One of the obligations that must be met by the taxpayer is to deliver the Annual Income Tax Return correctly, completely, and clearly. Correct is right in the calculation, including the application of the provisions of tax legislation, in writing, and in accordance with the actual situation. Complete is loading all the elements relating to taxes and other elements that must be reported on the notice. Clear is to report the origin or source of taxes and other elements that must be reported on the Notice. In order to meet the requirements of Annual Income Tax Return, participants will be given training courses related to that issues. Preparing files for import process data to the e-SPT application. The course is suitable for CFOs, tax directors, tax managers, accountants working in companies performing financing activities across all industries, treasury managers, chartered accountants, financial controllers and analysts, internal and external auditors, tax experts and lawyers. 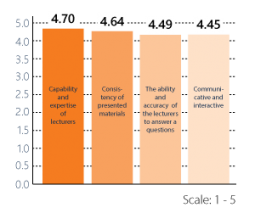 DDTC is a research and knowledge based institution. DDTC Academy is acknowledge as a course provider for Advanced Diploma in International Taxation (ADIT) certification by Chartered Institute of Taxation (CIOT), UK. 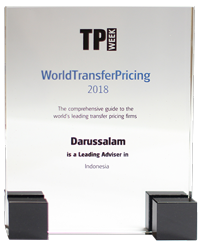 DDTC was given an award by International Tax Review’s World Tax and World Transfer Pricing 2018 acknowledging our Managing Partner, Darussalam as a leading adviser and DDTC as a recommended firm in Transfer Pricing. 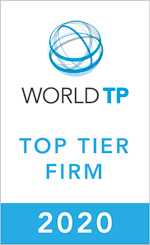 Senior Partner DDTC, Mr Danny Septriadi, was selected as one of the World’s Leading Transfer Pricing Advisers 2017 by Expert Guides (one of the most trusted resources for international buyers of legal services). DDTC has published a number of bestselling transfer pricing books. 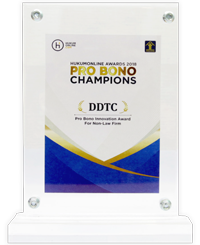 Managing Partner and Senior Partner DDTC have been acknowledged as expert contributors for reputable national and international academic journals. 16 Certificate Holders of Transfer Pricing from the Chartered Institute of Taxation (UK). Our topics always keep up with the latest taxation issues which are published via books, InsideTax (a semi-journal magazine), working papers, journals and DDTC News. Interactive training and case studies models. 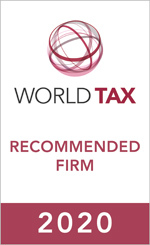 Up-to-date materials, relevant course contents and supported by a dedicated tax research team. 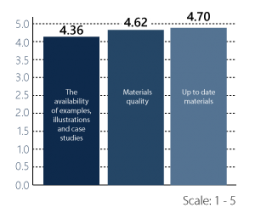 To offer high quality training programs, DDTC equips its resources with a library that has more than 2,700 collections pertaining to transfer pricing, international & domestic taxation, and other subjects from reputable publishers and authors. Menara DDTC, new office building with new atmosphere, the best and most comprehensive professional training facilities (theater classes, cozy room, new concept and modern design, moot court simulation room, free Wi-Fi, modern facilities, etc.). Library access of more than 2,700 books and taxation journals. Exclusive training kits (goodie bag, notepad, pen). Getting “Kartu Peserta Training” that can be used as a discount card to re-attend our next training programs. Lunch and coffee break are provided. The training materials were complete and relevant with work. The speaker's mastering of the materials was adequate, satisfactory logistics. The lecturer mastered the materials hence well conveyed. A variety of experience at Tax court & and ways to appeal! My knowledge in fiscal correction increased. Trainers are experienced. The explanation method was clear. Really OK. The lecturer's explanation was systematic and comprehensive. 15 Certificate Holders of Transfer Pricing from the Chartered Institute of Taxation (UK).